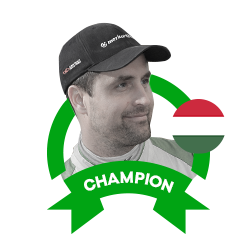 Norbert Herczig has been the dominant force in Hungary in two previous years and came into the 2017 season with back-to-back title wins already under his belt. 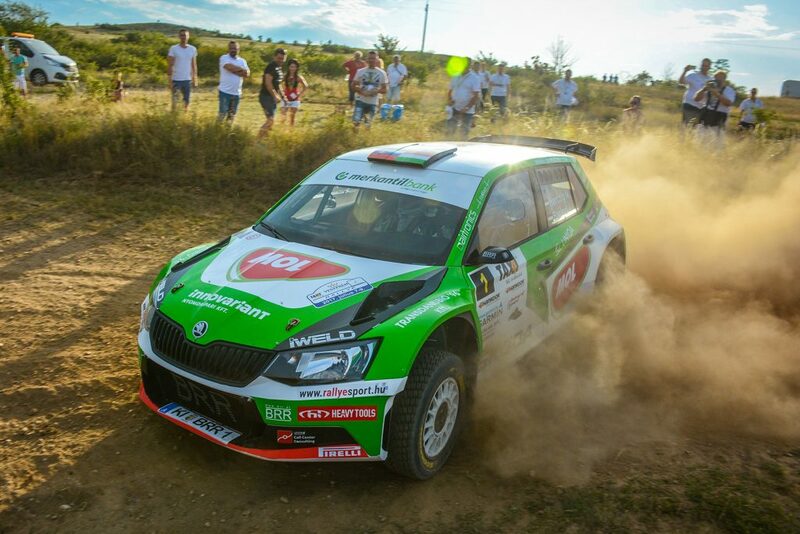 Both were won in ŠKODA cars as Herczig and his Slovak co-driver Igor Bacigál, who drive for the ŠKODA Rally Team Hungaria, switched from a FABIA S2000 to a FABIA R5 midway through the 2015 season. 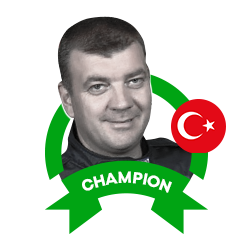 This season, they were once again the dominant force in the championship, despite a challenging field with many R5 cars taking part. But they steered their ŠKODA FABIA R5, which was prepared and run by BRR Baumschlager Rallye & Racing team, to three victories and two more podium positions from the six rallies they drove, to complete a hat-trick of title wins. The Hungarian championship began at the Miskolc Rallye, with all the drivers raring to go after an five-month break between seasons. 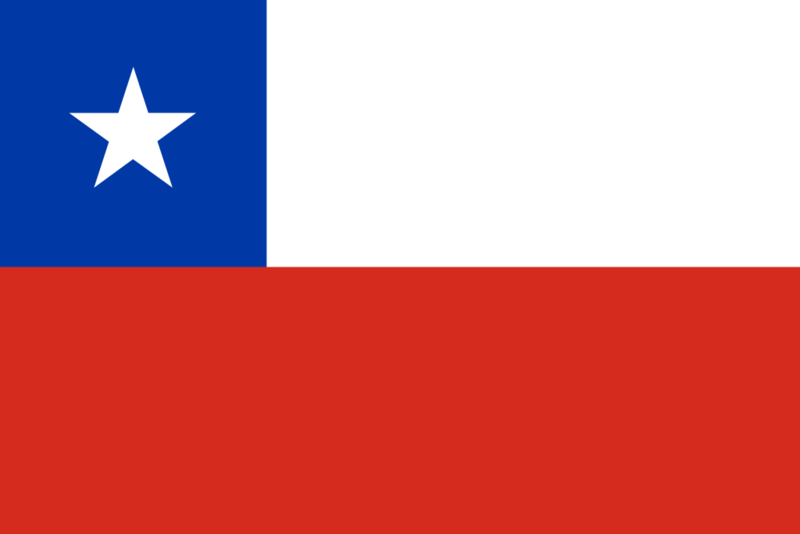 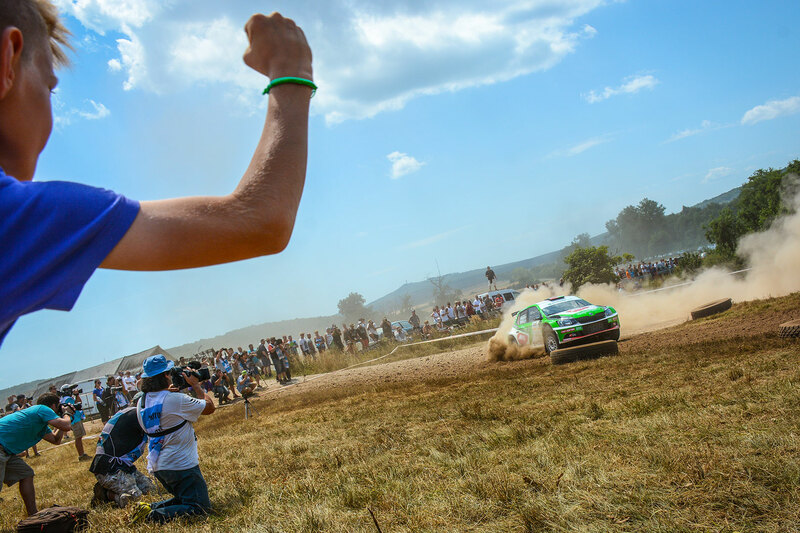 By his own high standards, Herczig made a slow start, but he quickly found his groove and by the end of special stage 4 he had risen to the top of the standings. 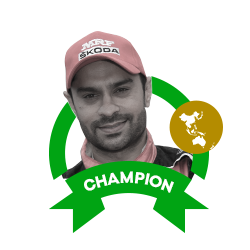 It was a lead he never relinquished as seven stage victories out of fourteen helped him to victory by a margin of 20.6 seconds. 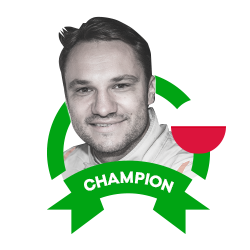 Next up was the Ózd Rally and this time Herczig made a strong start, but a wobble on stage 4 saw him drop to third. 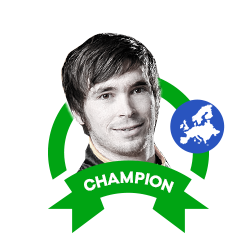 From then on it was a hotly fought contest, but Herczig could climb up the leaderboard. On the final stage, an incident of fellow FABIA R5 driver Ferenc Vincze, saw him elevated to second place and he ended up just 13.8 seconds away from a second successive win. 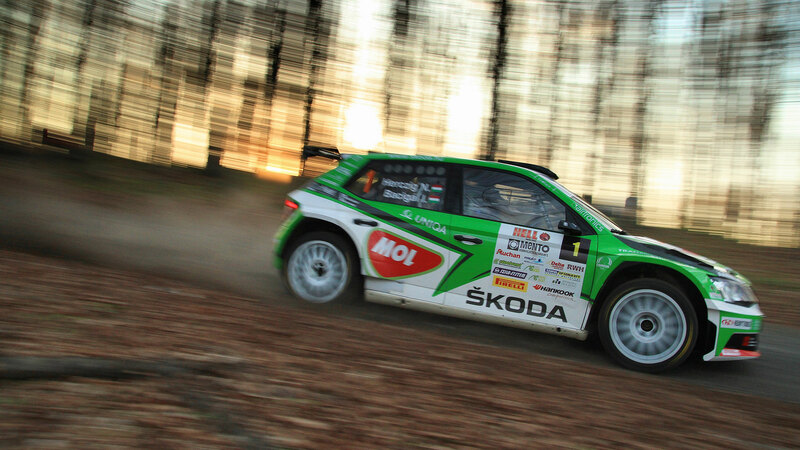 At the Szombathely Rally normal service was resumed as the ŠKODA cars dominated. 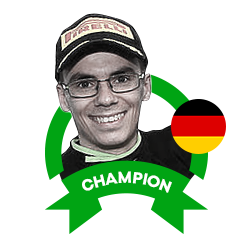 It was another slow start for Herczig but two stage wins and two-second places saw him leading the way by the end of the first leg. 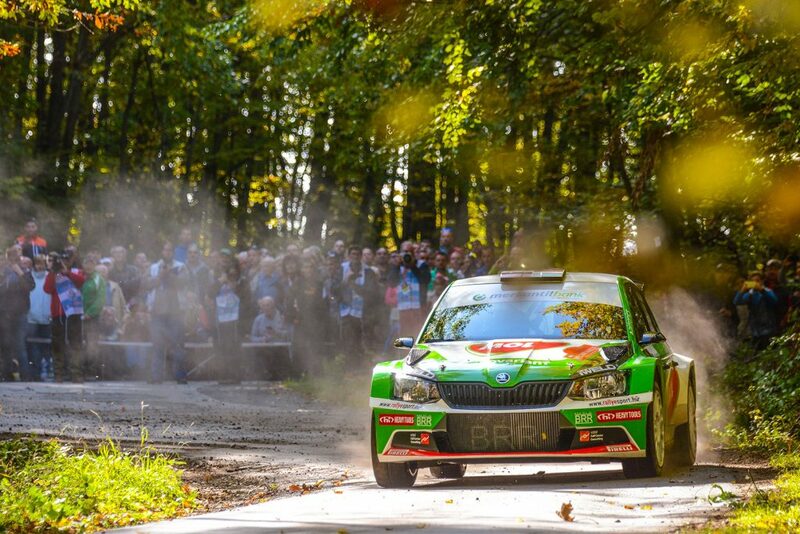 And in the second leg, Herczig won all five stages to finish the rally a comfortable 47.7 seconds ahead of the field, with fellow FABIA R5 drivers Ferenc Vincze and Péter Ranga also inside the top 4. 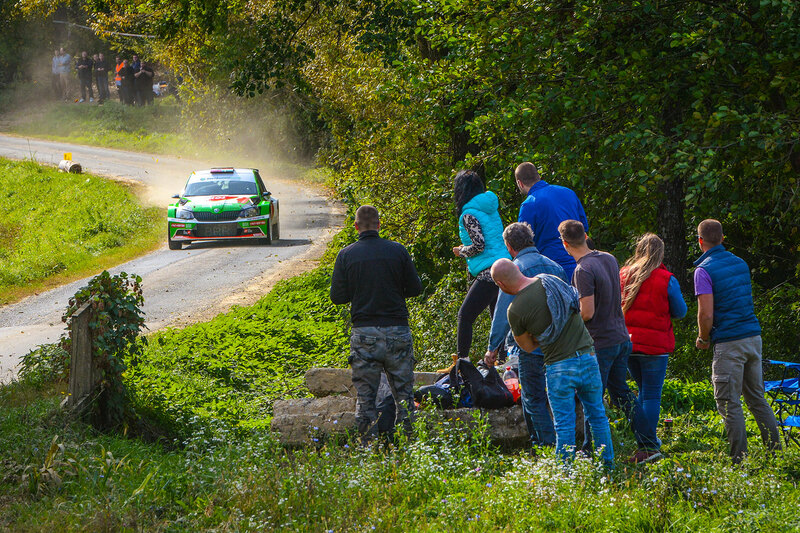 The Szekesfehervar Rallye was up next and there was another slow start for Herczig, but this time he wasn’t quite able to pull it back. 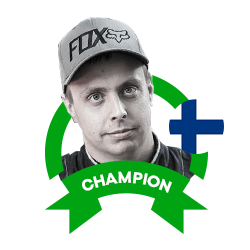 He finished the first leg in third place after opting for dry tyres and then struggling when it began to rain. 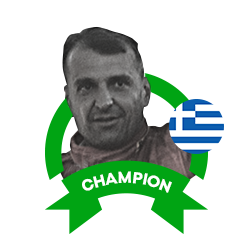 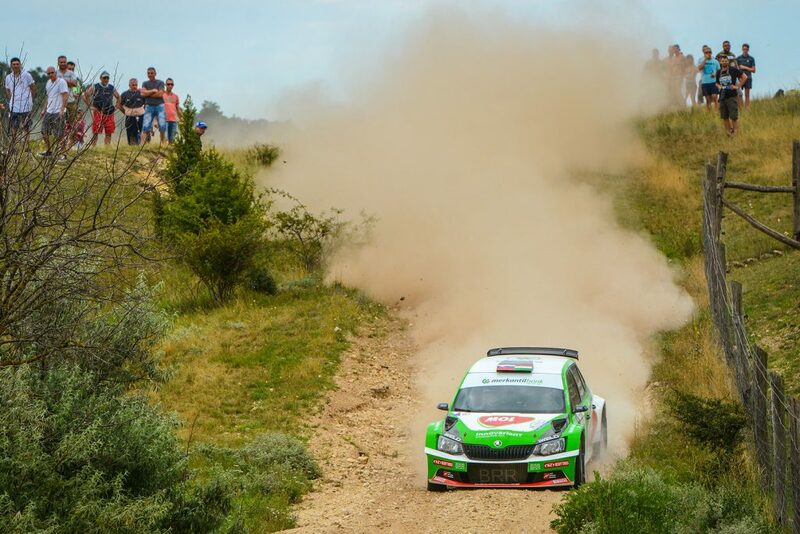 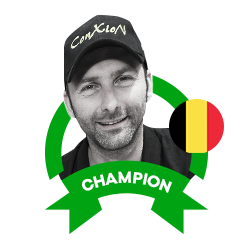 But despite winning four of the eight stages in the second leg and making up one more place, he was unable to make up the gap to championship rival András Hadik, finishing just 6.6 seconds behind. 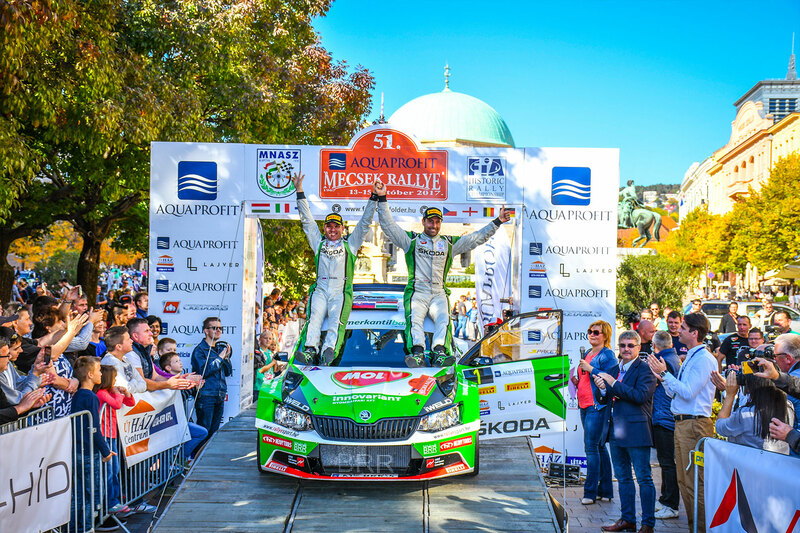 That result made it two wins each for Herczig and Hadik but with the FABIA driver’s two runners-up spots keeping him at the top of the championship standings. 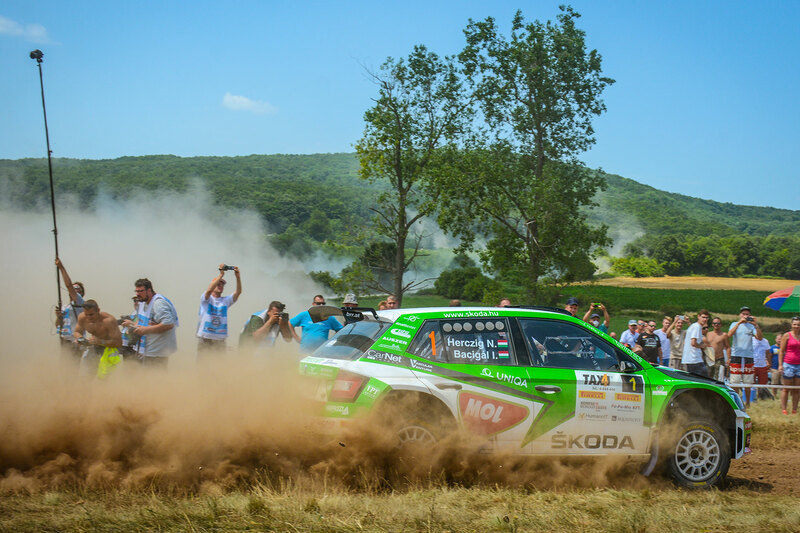 So, there was still everything to play for at the Veszprém Rally, but things did not all go to plan for Herczig. 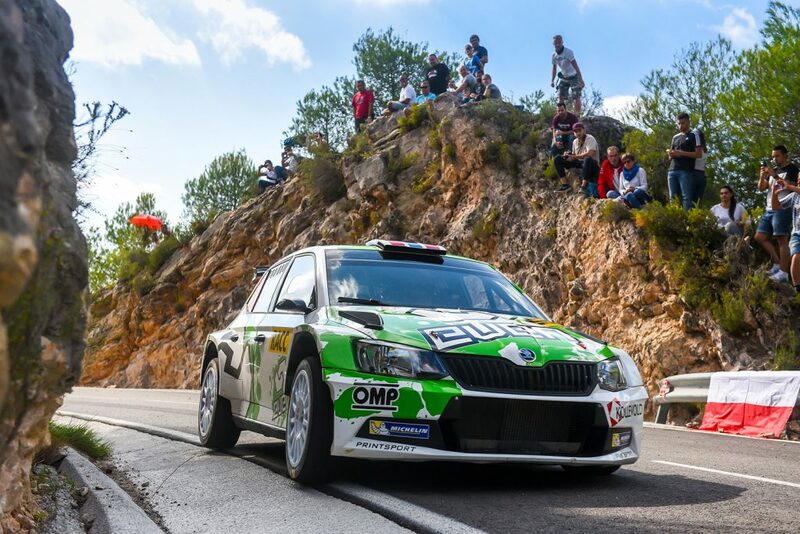 A puncture on SS2 saw them drop to twelfth in the standings after the first leg. 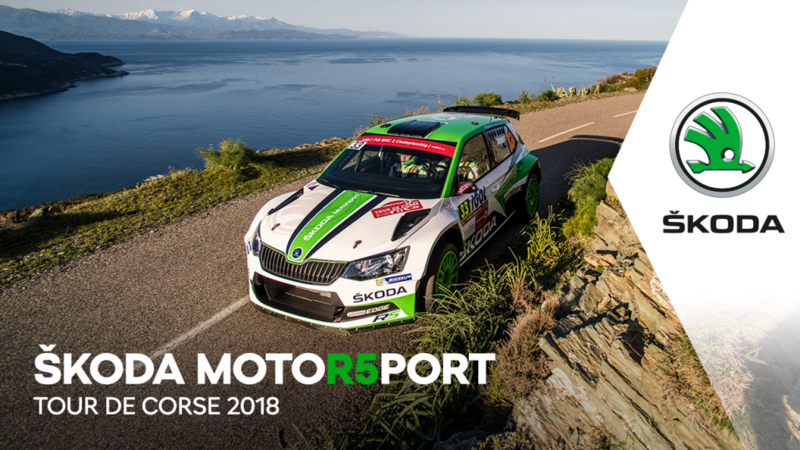 Three stage wins and two-second place finishes in the second leg helped them climb up to fourth position by the end, behind three other FABIA R5s. 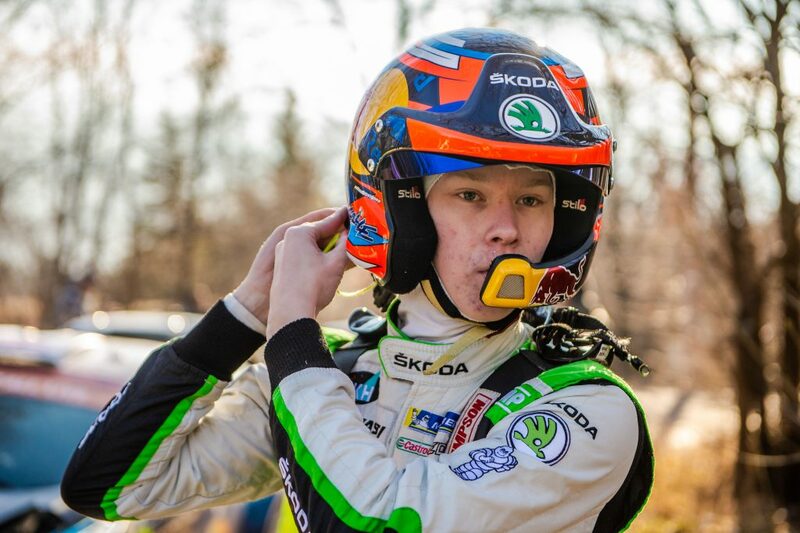 Fortunately for Herczig, Hadik also suffered tyre problems on SS2 and was not able to recover as well, finishing sixth, so the result actually meant more vital points for Herczig. 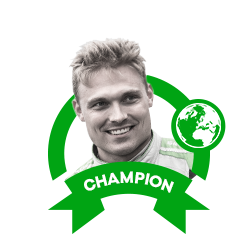 Round six was the Mecsek Rallye and Norbert Herczig knew that with the right result the championship would be his. 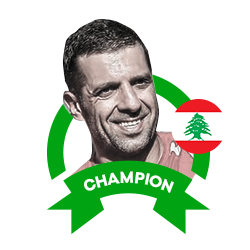 And despite the pressure, the result was never in any real doubt. 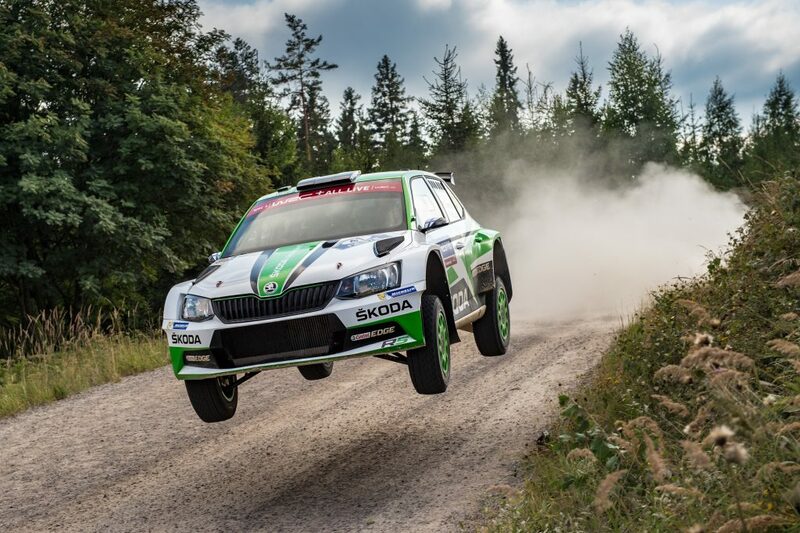 Herczig won four of the opening five stages to open up a relatively comfortable lead of 19.8 seconds. 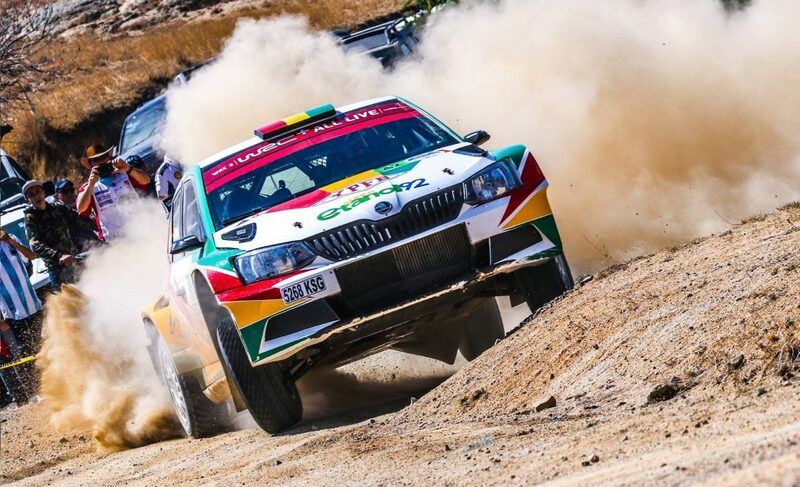 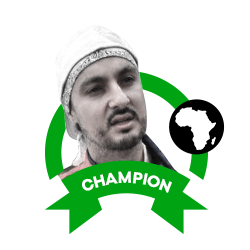 A minor incident on the penultimate stage cost him 10.9 seconds, but second place on the final stage was enough to ensure that he would finish 12.9 clear of his title rival Hadik, who was second. 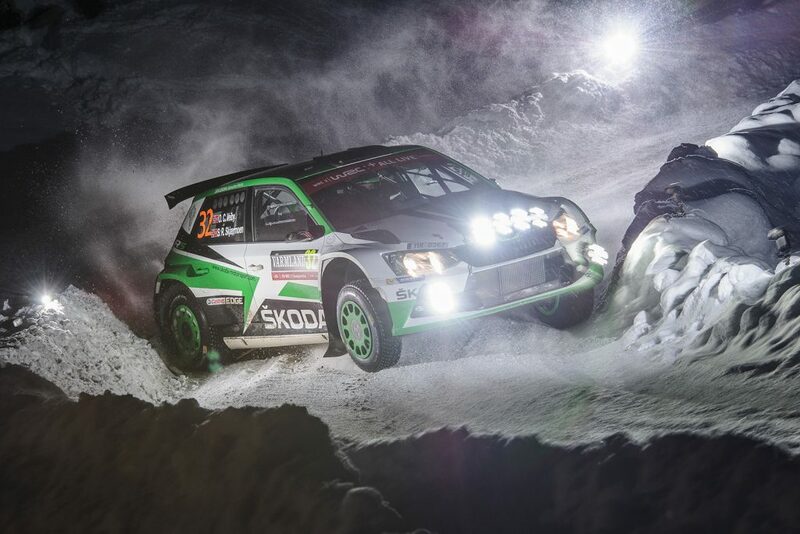 It was a third rally win of the season for Herczig, as well as his third win at this event. 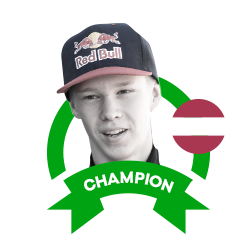 And the points he scored were enough to ensure he would be the Hungarian Rally Champion for 2017, regardless of the result of the Eger Rally, the final round of the championship, where Herczig didn’t start. 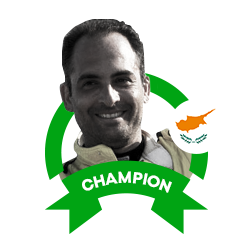 Norbert Herczig (born 1975) made his first appearances on the Hungarian rally scene in 1997 in a ŠKODA FAVORIT. 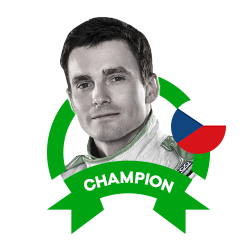 He would remain close to ŠKODA throughout his career, moving onto a ŠKODA FELICIA (1998) and ŠKODA FELICIA KIT CAR (1999) before tasting his first rally victory in 2004 at the Veszprém Rallye with a ŠKODA OCTAVIA WRC. 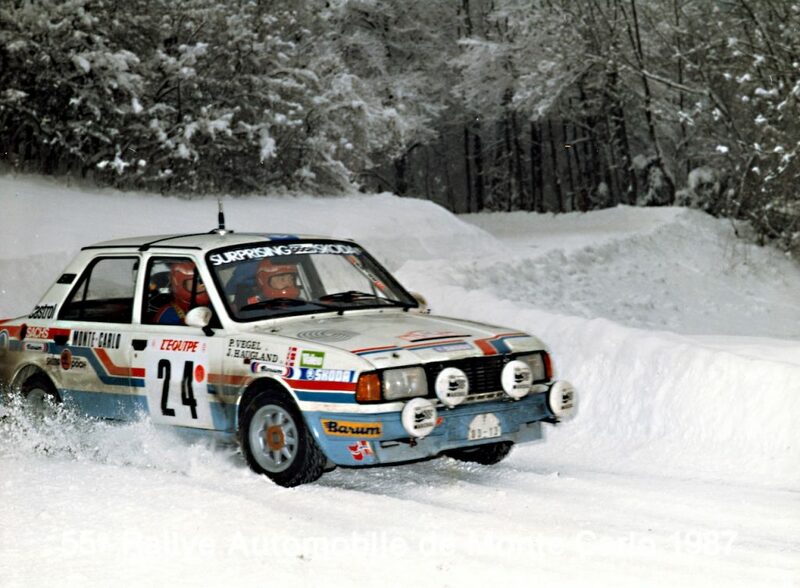 He would win the Budapest Rally in the same car that year too. 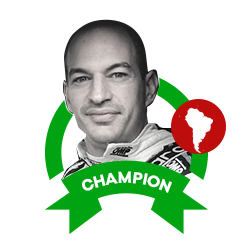 From 2005 to 2009 he drove other cars but did not secure another victory until 2009, when three rally wins and three more podium places saw him win the Hungarian title for the first time. 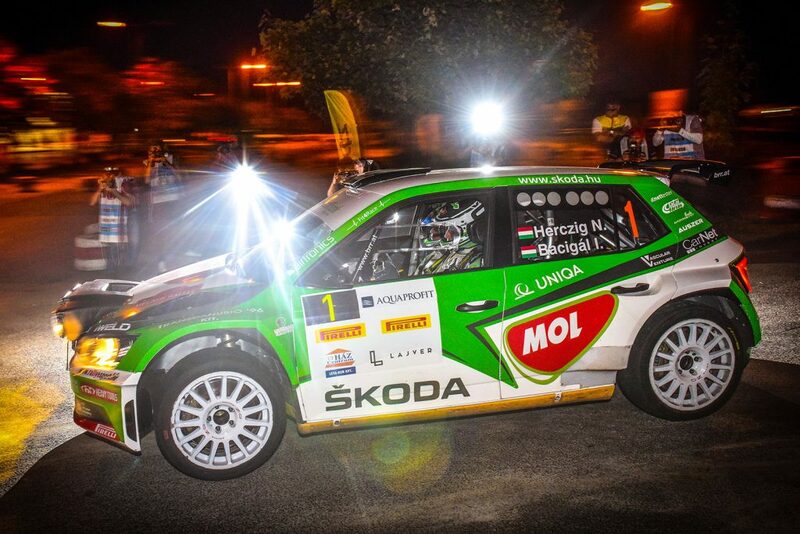 From 2010 onwards, he has driven ŠKODA cars again, initially a FABIA S2000, with which he finished second in the Hungarian Championship in 2012, 2013 and 2014. 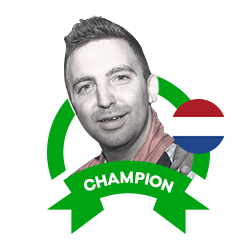 In 2015, he started out in a FABIA S2000 before switching to a FABIA R5 and four wins saw him crowned champion again. 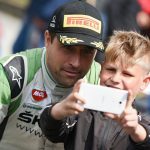 He repeated the feat in 2016 winning five successive rallies and that form continued into 2017 when he won a third successive - and fourth overall - Hungarian Rally Championship title.